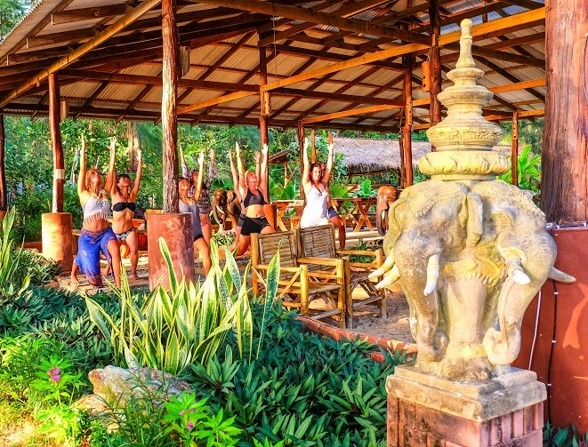 Yoga/meditation combined with Koh Lantas chilled out peaceful vibe, delicous food and many massage places makes it a perfect place to go deeper in your Yoga-practice and recharge your batterys. 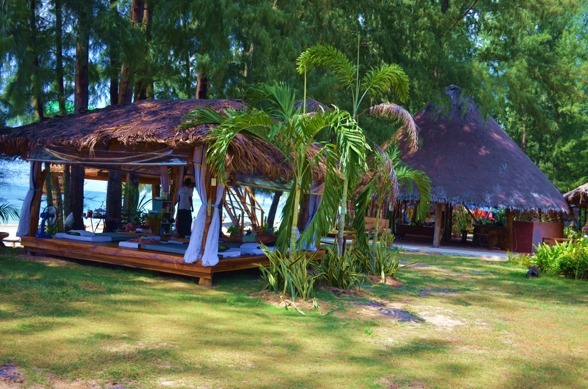 Our Yoga shala, accamodation and restaurant are located at Long Beach and hosted by the boutique eco resort "Long Beach Charlet". A family runned esablishment that will make sure you feel "at home away from home". 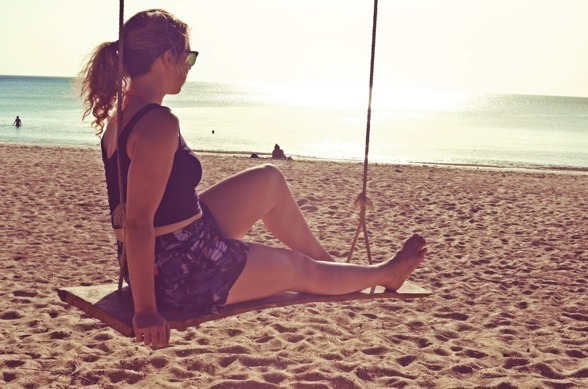 The yoga retreat is runned by Swedish yoga teacher Ebba that came to the island and fall in love it's beuatiful athmosfere and made her dreams come true by starting "Happy Soul Yoga Retreat". A guided treek inside the jungle were will finsh in a tiger cave doing a powerful AUM meditation. We will also have amazing health Ila Nordman that runs the blog www.morotsliv.se coming and teach us about nutrition and demonstrate how to make delicious rawfood. 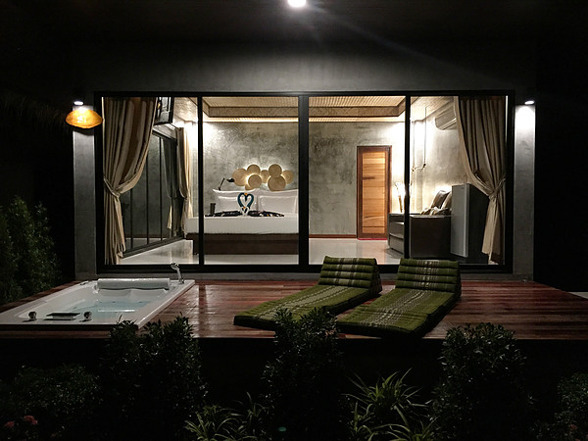 A personal Lifestyle coching talk (only for minimum 1 week staying guests) so that we in the best possible way can help you to deepen your practice and experience with us. 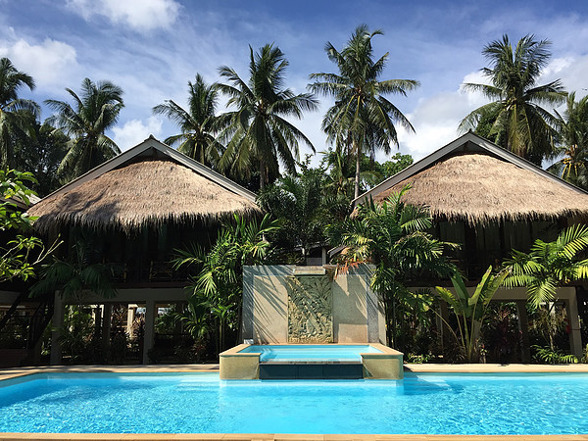 Long Beach Chalet is a small eco style boutique resort nestled on long beach, Koh Lanta, in an area of outstanding natural beauty with pristine tourquoise waters and lush tropical gardens. Our 16 chalets will take you a few steps closer to nature with unique style while providing you with all the comfort and convenience of modern amenities. Choose what standard you like! 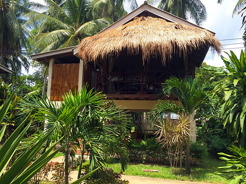 From the simple but chic garden charlets to the exclusive beach front villas with private outdoor jazzuci. Our family and staff are highly passionate about what we do. We strive to maintain our high standards of service and to ensuring that your stay with us will be a truly memorable one. Welcome home! 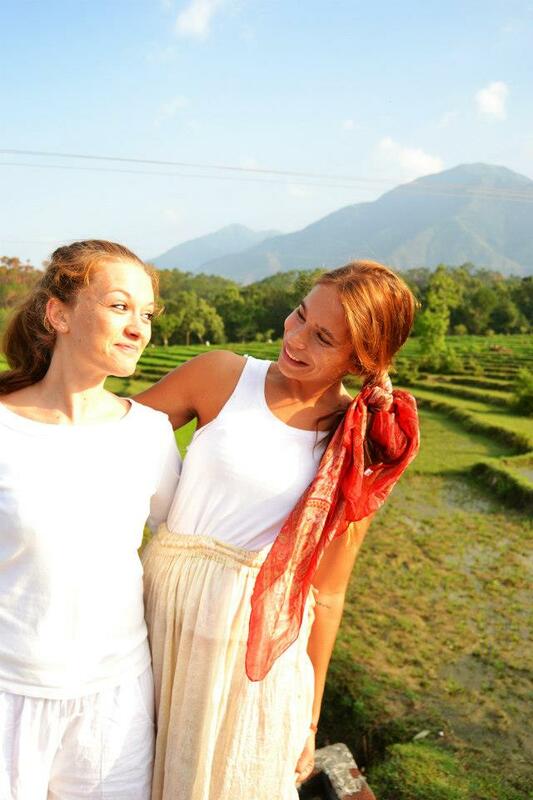 Ebba and Ghita meet eachother during their yoga teacher training in India and became really good friends. 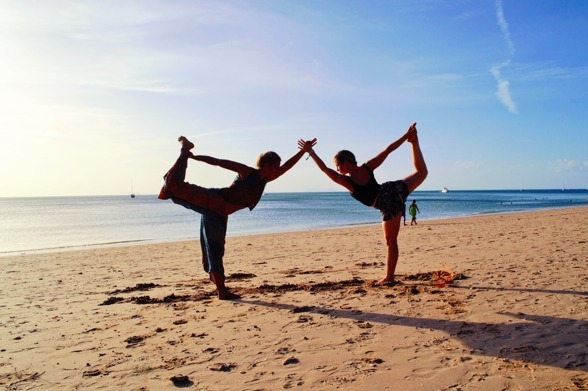 They feelt that their diffrences and qualitys made them the perfect team and decided to start HAPPY SOUL YOGA RETREAT. 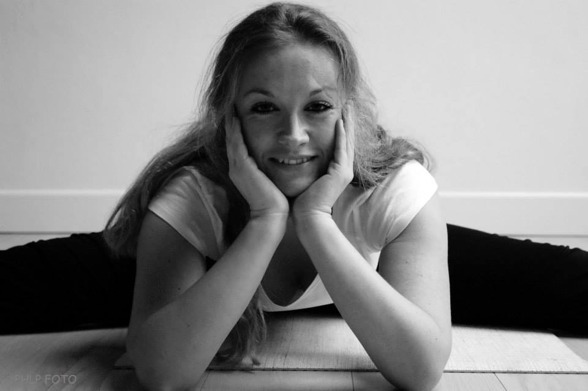 Ebba is a passionated gypsy life enjoyer and she loves lo inspire others by the joy of moving and flowing with the breath. 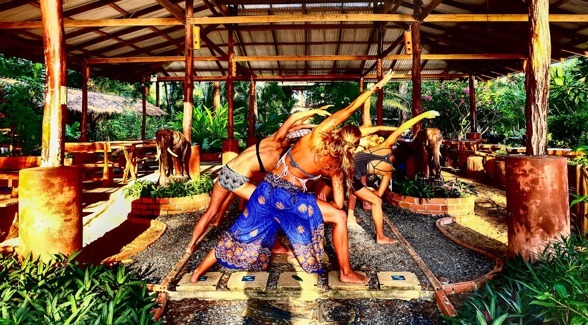 She teaches dynamic Vinyasa flow and Kundalini yoga. Even if her classes are dynamic they are still full of awerness, spirutal depth and leave you feeling fully recharged and peaceful. Ghita is a highly spritual being who always has near to a smile. Her personal long deep inner work has given her many useful tools to share with other. She teach hatha flow and meditation. Her grounding nuturing energy makes you feel safe and releases much to give place for joy and happiness. Ila Nordman is a health specialist that started the popular blog www.morotsliv.se, writing books, host courses in nutrion, health, natural skincare and how to live a more holistic life. She has a degree in health and nutrion and can form a specalized detox and diet plan for you to optimize your health and wellbeing. 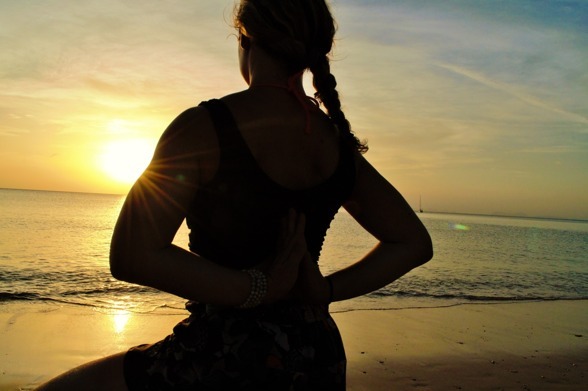 With her knowledge and tools she will help you to maintain a healthy lifestyle not only during your stay with us but also in your everyday life. 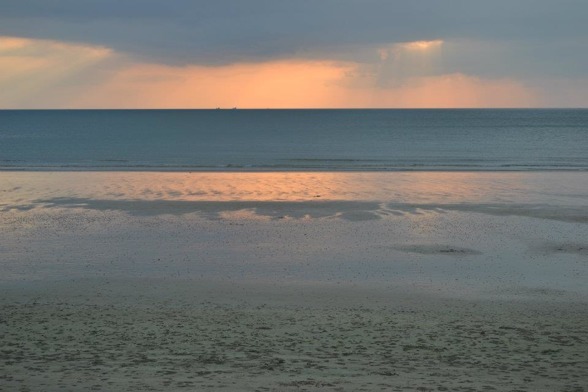 Reiki: Feeling out of balance? Insomnia? Depression? Anexity? 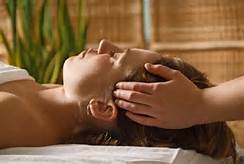 Reiki can help to restore your balance and heal imbalances in your chakras. Ayurvedic massage: Working with special oils depending on your dosha type, long strokes for relaxation and bloodcirculation togheter with deep pressure on "marma points", or vital points in the body. Deeply relaxing and the heated oil give a nice sensation of norishment for the body. 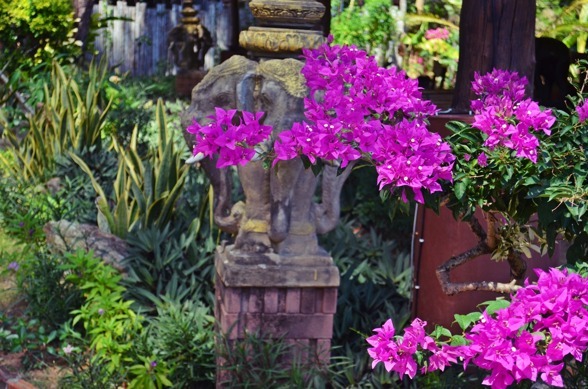 Traditional Thaimassage: Almost like yoga without effort! Works very effectly for realigning and opening up the body, tigerbalm is used to go deep into the muscular tissue. 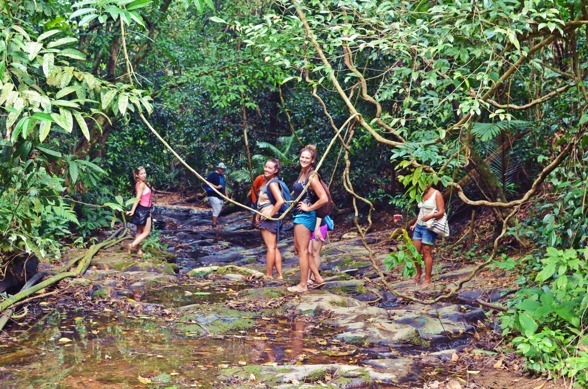 what to do in koh lanta? 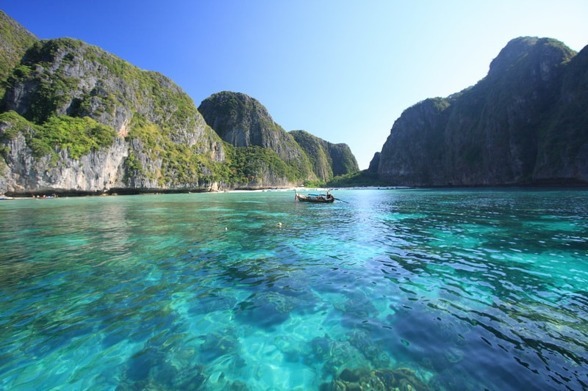 Diving and island trips, explore beautiful untoched islands and tropical underwater world. Jungle treeking, go into the wid! 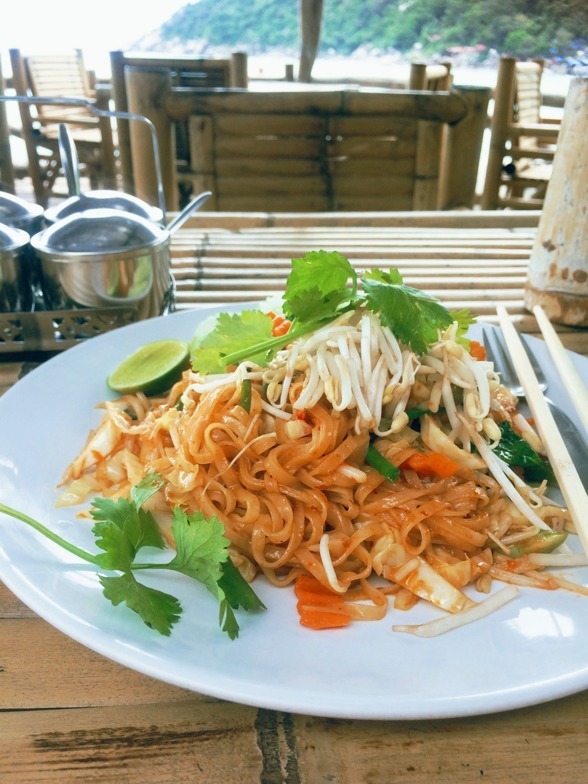 Thai cooking class, why not learn to make your own phad thai? Rockclimbing! 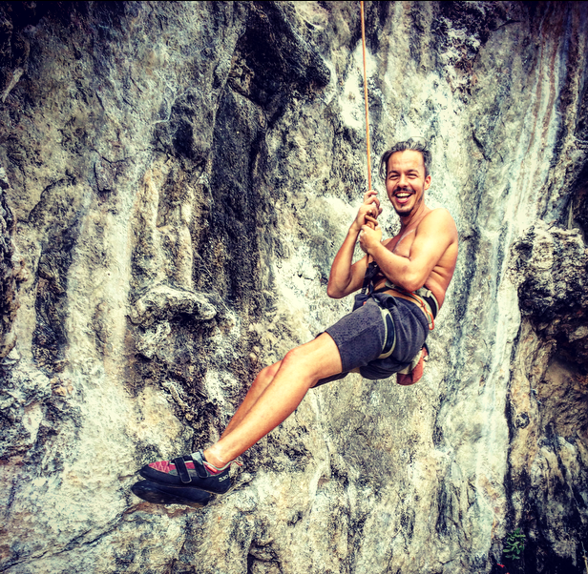 World famous climbingspots like Railey and Koh Phi Phi are availble only 1-2 hours from Koh Lanta we can help you to arrange. Relax! Don't worry be happy! 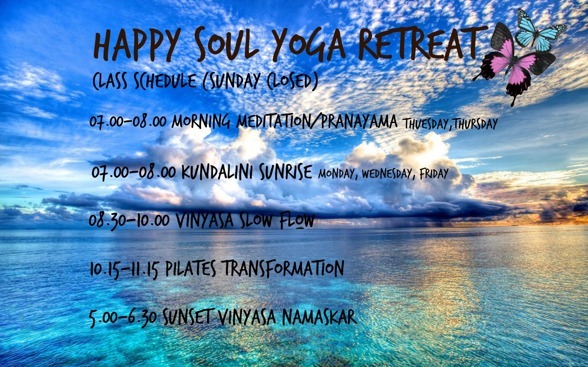 Yoga Style: 4 diffrent classes to choose from per day (Sundays no yoga) Meditation/Pranayama, Kundalini Sun Rise, Vinyasa Slow Flow, Pilates Tranformation and Vinyasa Sunset Namaskar. 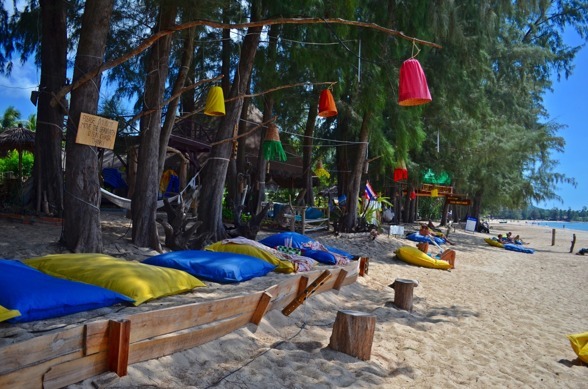 Accommodation: Chic Eco Boutique Charlets located on Long Beach, Koh Lanta.